FREE SHIPPING with a purchase of any Timeless Truth Masks RM150 and above. 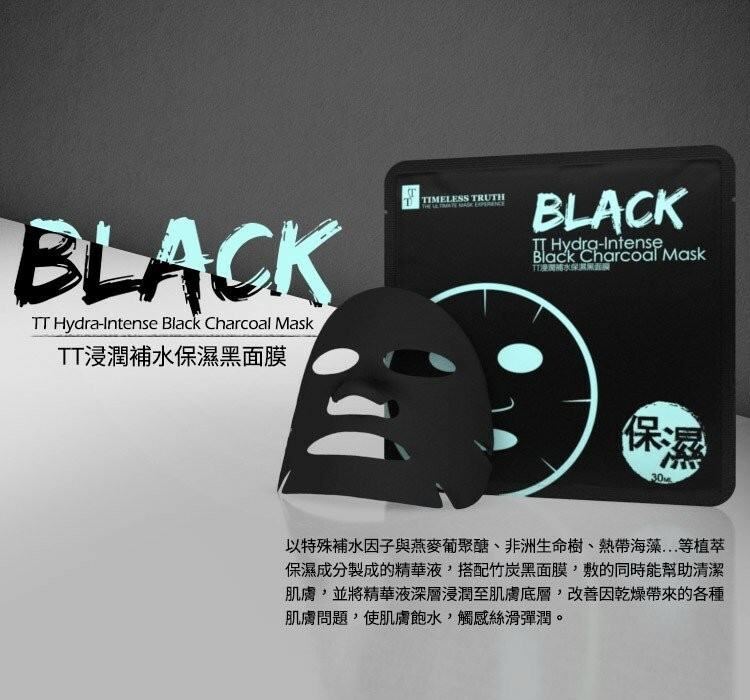 TT Hydra-Intense Black Charcoal Mask - Superb hydrating effects! This mask contains moisturising properties that could penetrate deep into the skin for better and longer lasting hydration. It contains 90% Collagen composition which provides lifting and tightening effects. The Hyaluronic Acid within the mask offers its unique ability to attract and maintain moisture and helps to reduce fine lines & wrinkles. 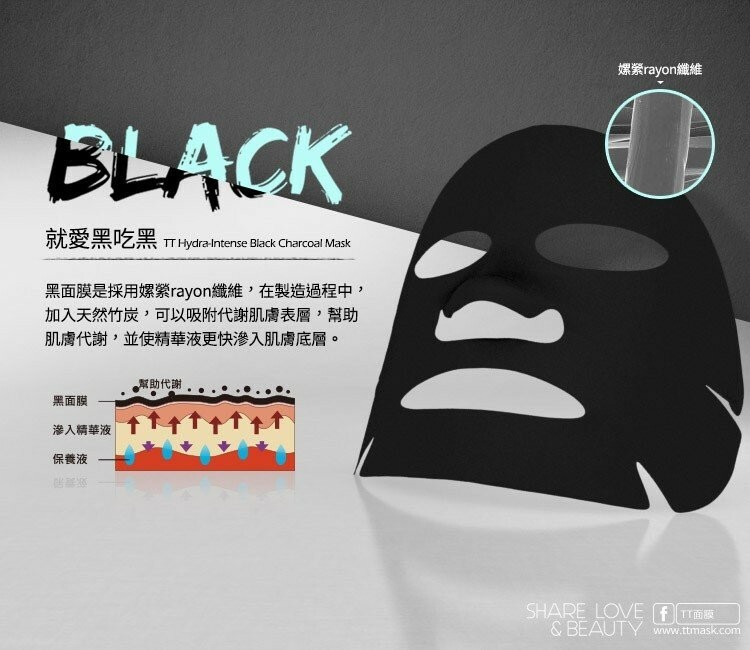 Activated Charcoal Mask helps remove impurities without over-drying. 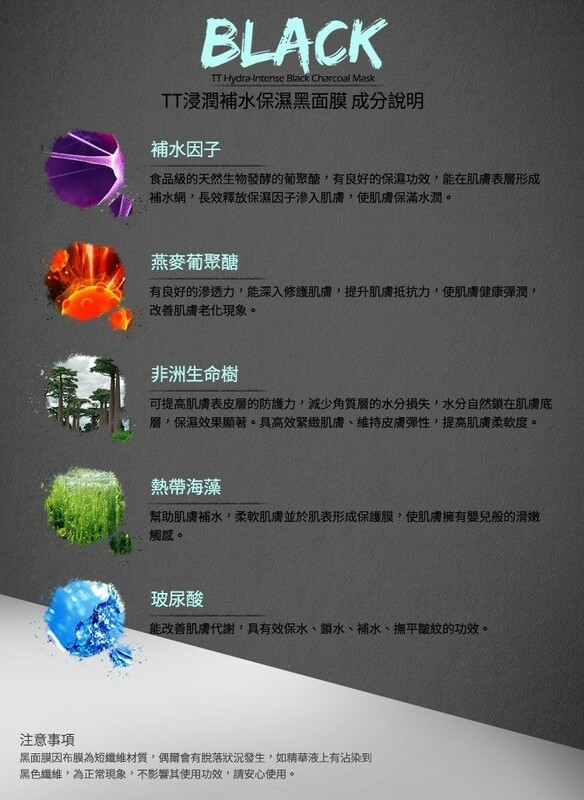 It has unique absorption properties which draws out dirt, oil, and helps to eliminate acne, bumps, and blackheads. It leaves skin feeling refreshed, moisturized, and looking instantly brighter after each application.